during a practice approach we pass over a train just as we reach decision height on the ILS. This entry was posted in Cessna Citation and tagged ce560, cessna, cessna citation encore, citation, encore, landing, low pass on August 13, 2012 by James Sorsby. A Citation II flight from St Louis to Dallas Love. This video includes cockpit and cabin views. The Cessna Citation II or Citation 550 was designed as a Stretched version of the Citation one configured for 8-10 passengers. It first flew in 1977 and competed with the turboprop market as a step up entry level jet. When production had ceased Cessna had built 603 CE-550’s. It’s powered by two Pratt and Whitney JT15D-4 turbofan engines that generate 2,500 lbs of thrust each. It cruises at 360 kts and has a range of 1,200nm. This entry was posted in Cessna Citation and tagged aviation airplanes, ce-550, cessna, cessna citation, cessna citation ii, citation 550, citation ii, civil aviation, dal, dallas love airport, general aviation, landing, takeoff on August 7, 2012 by James Sorsby. landing in a Citation 550 on runway 4R at Chicago Midway airport. Midway is basically a one mile by one mile square set in a heavily populated area south of Chicago. All of the runways have displaced thresholds due to the close proximity of buildings. KMDW is one of the world’s busiest general aviation airports. It’s a hub for Southwest airlines and the FBO’s serve hundreds of corporate jets and private air planes on a daily basis. This Cessna Citation II is landing on runway four right. Of interest is how close houses are to the ends of the runway. 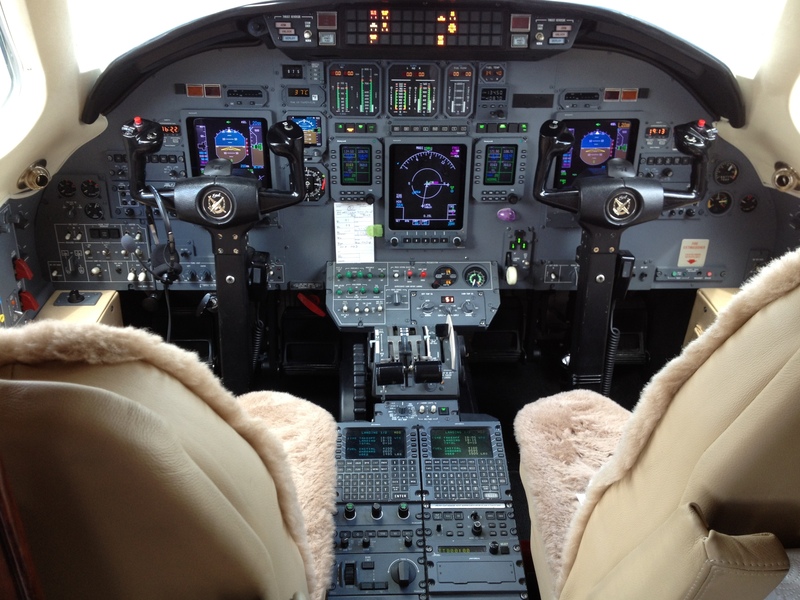 This entry was posted in Cessna Citation and tagged ce-550, cessna, cessna citation, cessna citation 550, chicago midway airport, citation, citation cessna, kmdw, landing, midway on August 7, 2012 by James Sorsby. A Citation 550 departs Spirit of St. Louis airport and Lands at Dallas Love. This entry was posted in Cessna Citation and tagged cessna, cessna citation, cessna citation 550, citation 550 cockpit, citation ii, cockpit, landing, takeoff on August 7, 2012 by James Sorsby.